Chef Abhi Sainju. Journal photos by Ingrid Howard. After two years of operation at the Summit, an Asian-fusion restaurant called Abhi has experienced enough success that the owner is opening a second location, this time in Mountain Brook. Chef Abhi Sainju, the brains behind the restaurant, grew up in Nepal and has traveled around the world, trying new foods and restaurants everywhere he went. He said that he learned what not to do from those restaurants. One thing he noticed in his travels is how some restaurants focus on the glitz and glamour of the environment without putting the right amount of focus on the food. He also wanted each menu item to be just as important as the one before it. In Nepal, he learned the importance of cooking using organic ingredients. From mushrooms to green onions and cilantro, Sainju said he shops locally, supporting about 25 local farmers. He said sometimes people come in and ask what he did to make the food taste so good. To make sure each dish served at his restaurant stays consistent over time, Sainju said, he prepares every dish himself. He comes in early each morning to do this, and then he can spend his day shopping for new ingredients or running errands while the restaurant staff cooks the meat and serves. Despite being a successful restaurateur, Sainju said he doesn’t like to call himself a chef. “I know so many chefs that paid so much time and energy and they’ve gone to school, and I didn’t do all of that,” he said. Instead, Sainju was living in Nepal when he applied to a few different colleges in the States. When Faulkner University accepted him, he said he didn’t open any other letters from other colleges. “I was like, this is my ticket to the USA!” he said, laughing. He studied there for a year, transferred to Jeff State Community College and stayed for two years, then transferred to UAB. In 2003, he got his degree from UAB in management information systems. He said he didn’t have the intention to open his own restaurant at that time – in fact, he was more passionate about music and playing gigs with his band. 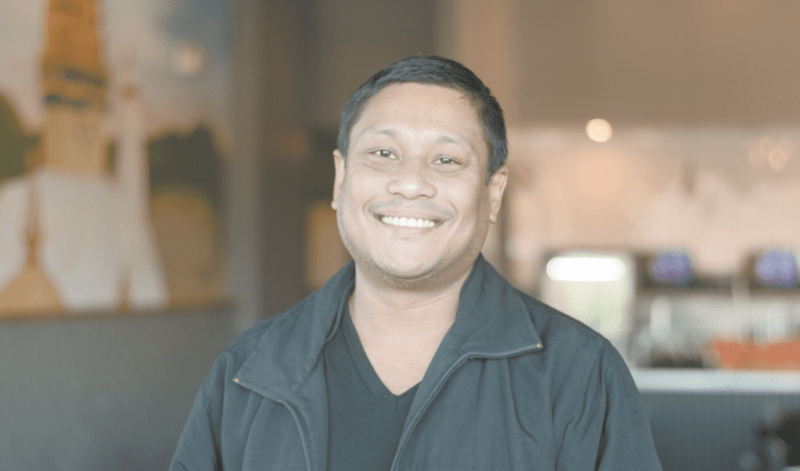 He started bartending at Surin West, and his interests slowly started transitioning away from music and toward Asian food. He was particularly interested in sushi, so he taught himself how to make sushi in three days and bought a sushi business. Almost every day in 2012 and 2013, Sainju said, he was doing pop-ups at different bars, selling sushi. He didn’t have his own storefront then but he caught people’s attention, and they started following him from bar to bar. One day, his friend told him to check Urban Spoon, a restaurant information and reviews website that has since been acquired by Zomato. Sainju’s sushi company, Everest Sushi, was rated No. 1 “Talk of Town” on the website, ahead of Highlands Bar & Grill and Bottega. In 2017, he opened Abhi, and Sainju sells his sushi there, among other dishes such as curry, dumplings and noodle bowls. 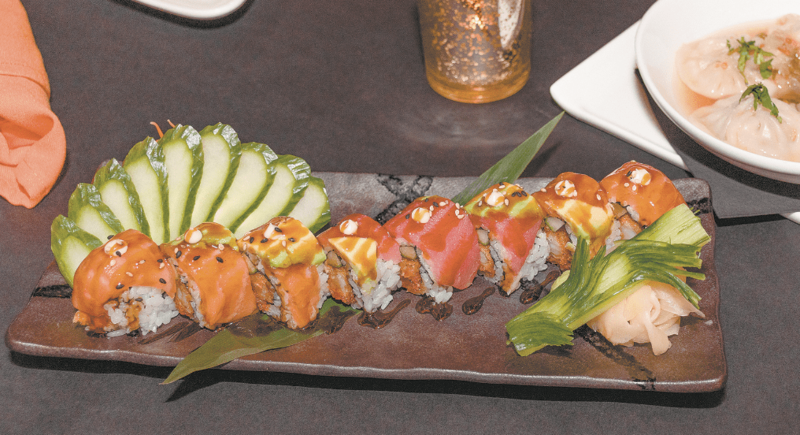 Sainju said he plans to expand his sushi and cocktail menu in the upcoming Mountain Brook restaurant, which will be in the former Avo space upstairs at 2721 Cahaba Road. For more information about Abhi and updates on its second location, visit the Abhi Facebook page.